There is a long history of villanous Team-Ups in comics. 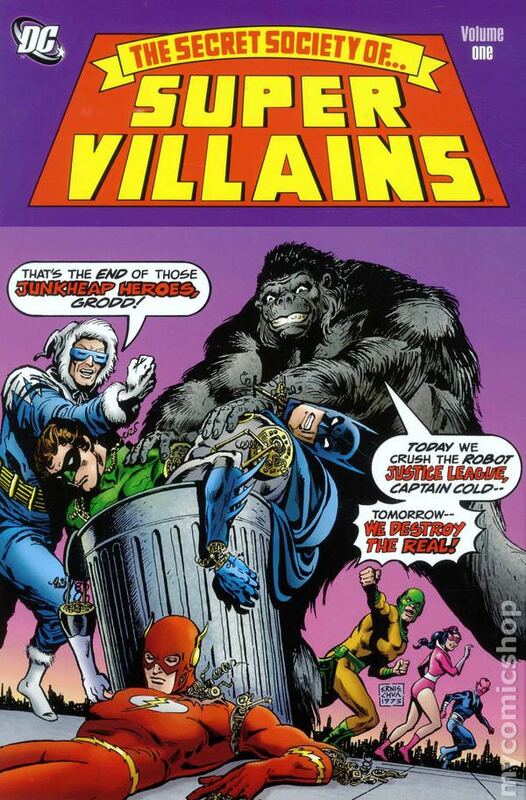 Villany Inc was the very first, a group of Wonder Woman villains created by William Martin Moulton, but over the years there have been dozens of groups that have gone by a huge variety of names, whose memberships have shifted sometimes even from issue to issue. Through all of this, however, the one group that is probably the most ubiquitiously fameous isn't from comics at all; the Legion of Doom. They've been brought into the comics a few times, and we very much want to use them as well, and our timeline actually ends with the creation of a massive team of baddies from every corner of DC that uses the name. 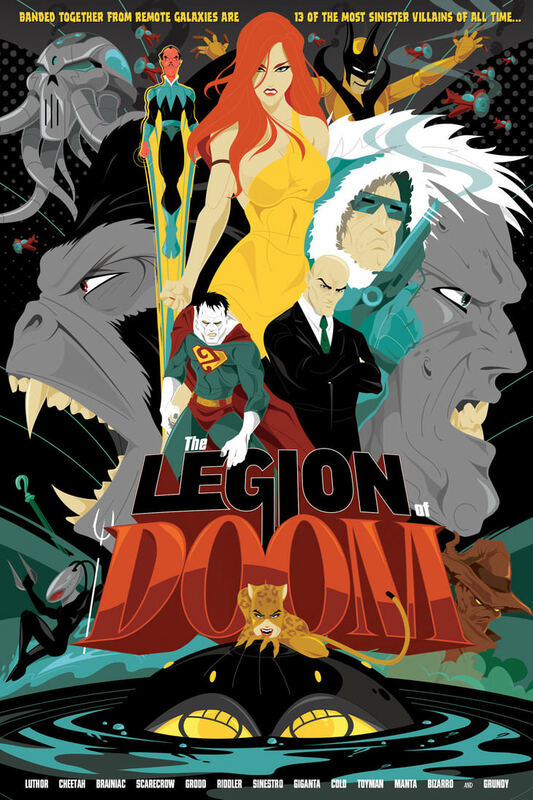 Of course, there is also another version of the Legion that we happen to love, and that's the actual group of villains that was featured in the original animated series. We wanted to give this group a chance to actually form in our timeline as well, and managed to do it with 'almost' the exact membership intact. This is a different organization than the Legion, so we've decided to call them by the name of a different classic group of baddies from comic history; the Secret Society. Later on, a new Society was introduced as part of the massive, company-wide crossover that led up to the Infinite Crisis. It was a group of huge A-list villains led by what was purported to be Lex Luthor, but wound up being ALEXANDER Luthor, the supposedly heroic counterpart to Lex Luthor from Earth-3 that was one of the few remaining survivors of the original Crisis). Then there is also yet another massive Secret Society that played into the Universe-ending events of the Final Crisis. Obviously, groups with this name play a HUGE part of the history of DC. Even with the petigree associated with the name 'Secret Society', it tends to be more of an idea than any one particular story. For our purposes, we want it to be a one-time event, a group of major character that come together for one purpose. And we want the membership of that group to mirror, as closely as we can, the line-up of the classic Challenge of the Superfriends Legion of Doom. We got very close. Obviously these are major baddies, and in some cases it just didn't quite click. Our redesigned story for Toyman didn't quite allow for him to be joining any teams at this point in his career, but he will be featured in OUR Legion of Doom later on. We also just couldn't come up with a justification for the world-endingly powerful intergalactic alien despot Brainiac to sit down at a table with a guy carrying a cold gun and dude wearing a burlap sack on his head. It also doesn't fit to have Lex working alongside other supervillains just yet in his story; he'll go on to later form his own organizations in the Injustice Gang. That actually left us in a bit of a bind, because without Lex the group doesn't really have a leader. The solution was in long-time mad scientist archetype Dr. Sivanna. He's an ideal choice to found this group to his own nefarious ends, and evidentally was even considered to be on the animated series in the first place!